Spacious 2 bed/2 bath open-concept floor plan with approx 9ft ceilings in a quiet well-maintained building. This above ground first level condo, with approx 1029/sqft, offers tile & laminate flooring throughout. Along with very recently updated s/steel appls, the large kitchen opens to the living room by way of a well designed bar-eating area. The gas fireplace, included in the strata fee, is a nice addition to the cozy feeling this home offers. Large covered balcony is perfect for year-round BBQing and even though this unit already comes with a storage locker, the extra large laundry room has ample storage space as well. 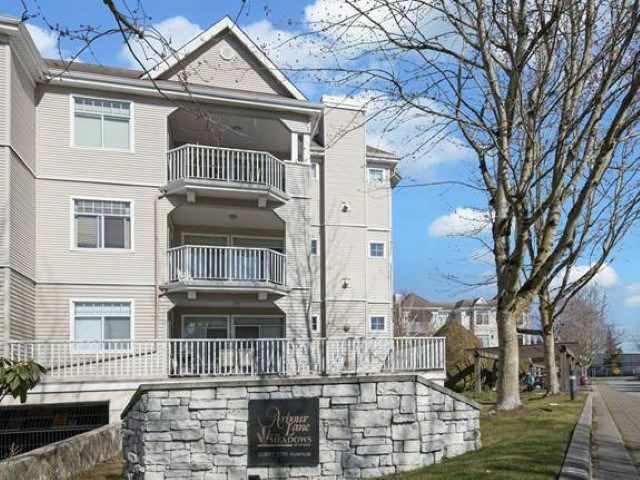 Walking distance to grocery store, shops, restaurants, Kwantlen & bus stop. Comes with use of a secured underground parking spot. There's also the possibility for additional parking, if available, at a nominal fee.